Home is where you make it, for us Home is currently in a modest ’84’ viscount van. When not on the road we live in a beautiful little country town called Killarney. 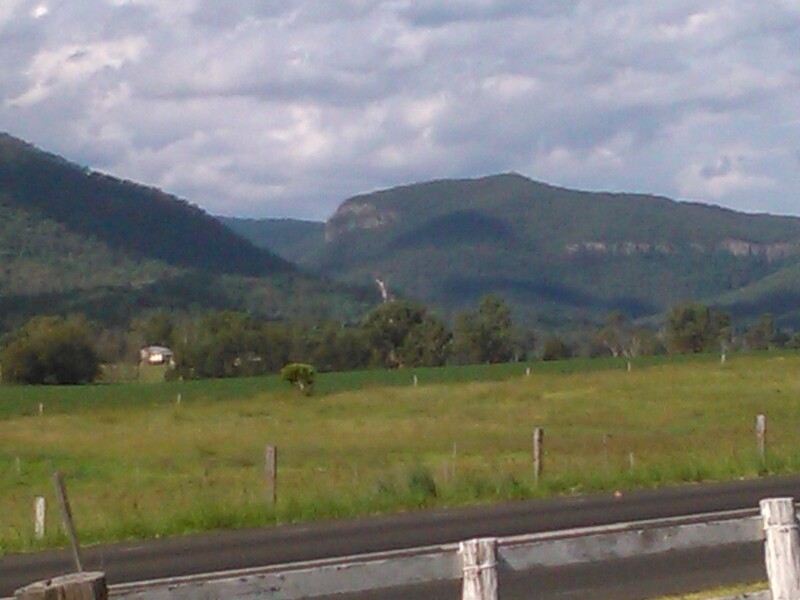 Killarney lies in the South East corner of the best state ever, Queensland! Located just six minutes from the New South Wales border and only a brief drive to such sites as Queen Mary Falls, Daggs Falls and Browns Falls; we consider it just about the prettiest spot in the whole world. 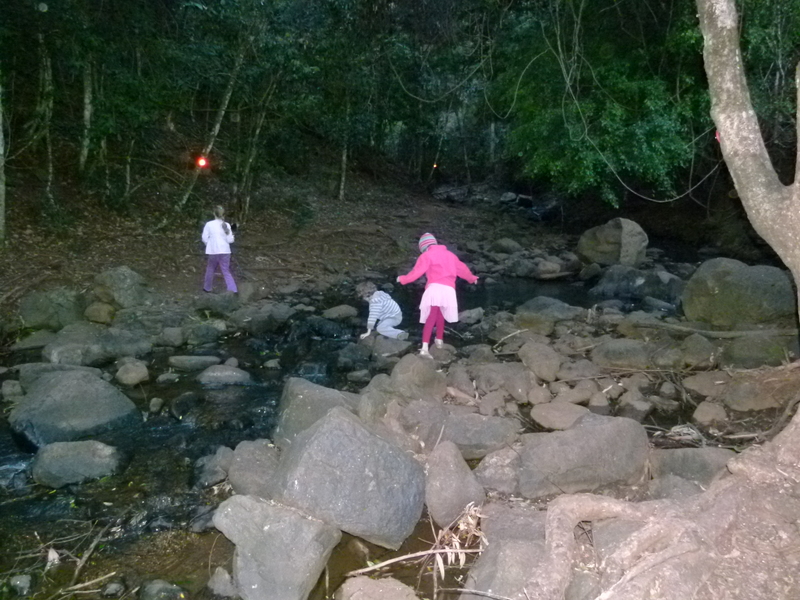 Our favourite is Browns falls; most weeks you will find us here throwing rocks in the creek, yabbying, enjoying the great playground or going for a bush walk up the track for a chill at the waterhole there at the base of Browns falls. Daggs Falls offers a fantastic lookout and Queen Mary Falls is one of the finest waterfalls in all of Queensland, holding special meaning for us as we became an engaged couple at the base of these falls back in 2003. Feeding the Rainbow Lorikeets and King Parrots at the cafe across from the Queen Mary Falls car park is a regular feature of our children’s lives and is a popular activity for tourists and locals alike. The Track to Browns Falls, Killarney. The view from our house looks a little something like this, how lucky our we? Woohoo. We are country peeps; bushies at heart, living in a big city is not something we will choose to do in the foreseeable future. We love the mountains, and the pure fresh crisp air that K-town has to offer. How’s the serenity! Home Sweet Home, What a View! The Killarney state school choir with the help of Josh Arnold did an amazing job of showcasing our beautiful little town by writing and filming this song as part of the small town culture series. Queen Mary Falls features heavily in this clip and one of our little Rowes makes a small cameo too. Please enjoy the beauty of Killarney and feel free to share it around.